The Celestron 51630 Finderscope StarPointer is a dream come true for any astronomer interested in the best finderscopes. You have a brand new telescope and you cannot adjust your piece to see whatever you want to see? Or maybe you have an older telescope with a finderscope that is just not working anymore? Then it’s high time to buy another one, and what best finderscope could you look at, if not Celestron’s StarPointer. In this review, we look at the StarPointer’s specs, performance, pros, cons, and more. What Is the Celestron 51630 Finderscope StarPointer? 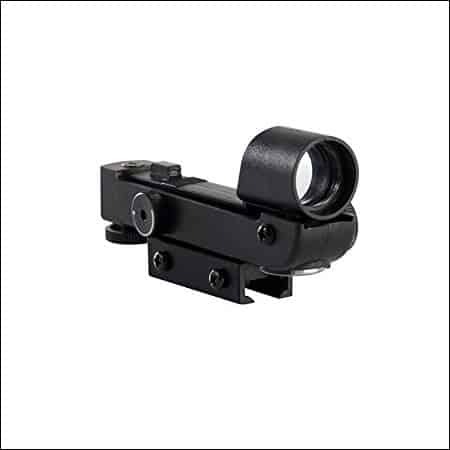 The Celestron 51630 Finderscope StarPointer is a very simple red-dot finderscope. Nothing is complicated about this piece. It’s easy to mount and easy to adjust, but it will help you a lot when locating celestial bodies. This accessory can fit any 6 inches or bigger Celestron telescope. However, you may use it for other types of telescopes as well, made by another manufacturer. 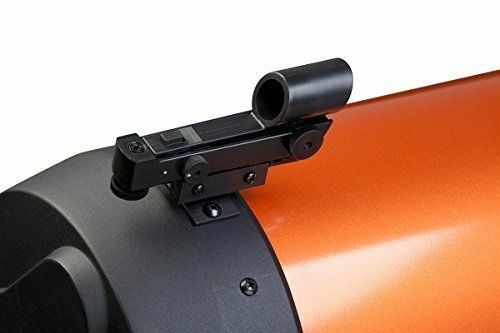 The finderscope will still work pretty well, but you may have to drill some extra holes in your telescope, so be very careful if you want to do it, as you may damage the mirror, and thus the whole telescope. Great price – a great price-quality ratio. For the money you spend, this is an amazing accessory that will really make your life easier when it comes to astronomical observation. Easy setup – you can do the setup in a matter of minutes. Don’t forget the screws, but besides that, mounting it is a child’s game. The LED-illuminated red-dot pinpoint is really helpful while locating stars, planets, nebulas, or any other celestial body. Simple to use – follow the explanation in the finderscope’s manual and you will align your scope in no time. Plastic – the whole piece is made out of plastic, making it extremely fragile and easy to break. It may not fit all telescope models, forcing you to drill some tiny holes to attach the piece, which may lead to a loss of the telescope’s warranty. 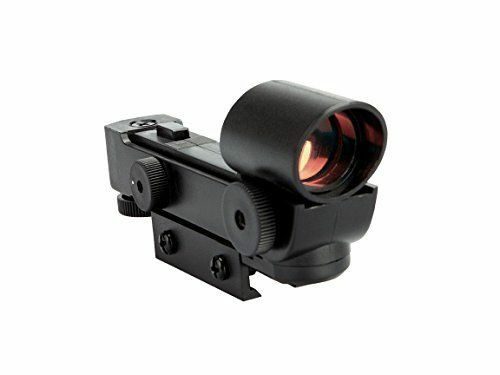 The red-dot could be smaller. It probably won’t last you very long. You can find this finderscope on websites that also sell telescope accessories, such as Amazon. The standard price on Amazon is somewhere around $15.There are also discounts that may apply to the initial price. That said, we strongly insist that you buy the Celestron 51630 Finderscope StarPointer from a trustworthy place, be that a shop or a website. Being quite a fragile plastic piece, you should be extra careful when purchasing it. 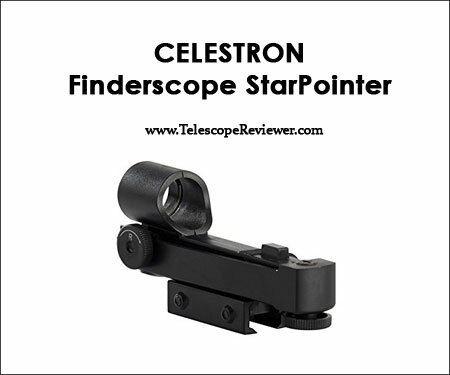 If you cannot locate a celestial object, the Celestron Star Pointer Finderscope is the easiest way to do it. You just have to center it in your eyepiece. This is a red dot finder, so it won’t have any magnification whatsoever. Anyhow, the red dot that will appear on the observation screen will help you a lot to properly align your telescope and better view your favorite celestial bodies. If you want to have even a bit of magnification, you can try to install an optical finder together with this piece, as some telescopes have multiple mounting bracket holes, which allow mounting as many pieces as you want. The only negative part of this prospect is that you will have to align both of the finders, which can be quite difficult, but once you do it, the results will be great. After mounting your piece, you will have to align it. Aligning a finderscope for the first time is not that easy, but it’s not rocket science either. Remember that you should align your finderscope during the day. Chose an easily recognizable object (a streetlight, a house, a tall tree, or whatever you like). Try to choose an object that is quite far, at least ¼ mile away. After choosing the observation point and the target, start moving the telescope left and right or up and down until it will point at the object. At this moment, you don’t need precision, but more of a rough positioning. Use the lowest power eyepiece to look at the object you’ve chosen. Move the telescope until you can see the object in the center of the view, then just turn on the red dot. Position your head at almost a foot from the finder, look through the finder’s lens, and try to locate the red dot. Adjust your finder using the two adjustment knobs of the finder. You will see them on the side and underneath the finder. Move both of these pieces until the red dot comes over the object you are observing with the eyepiece. When this happens, your finder is fully aligned. In theory, it should not require realignment. If you hit or you drop it and the piece survives unharmed, you may need to do it all over again, but usually, you can reattach it while preserving alignment. Maintenance is rather regular. There’s nothing special when it comes to cleaning this piece. Take care of it and clean it only when necessary. If dust has built up on it, remove it with a brush (made of camel’s hair) or with some pressurized air. Do not use industrial cleaning solutions on the Celestron 51630 Finderscope StarPointer, as these may contain alcohol or other substances that may destroy the plastic. The Celestron 51630 Finderscope StarPointer has no additional accessories. Instead of that, you may want to buy some screws, either two 8-32 x ¼ or two 10-24 x ¼, as these small pieces are not included in the pack. Also, keep in mind the finderscope needs a battery to work. As most Celestron products, the Celestron 51630 Finderscope StarPointer has a two-year warranty. If the product ceases to work, do not try to repair it by yourself, as you will lose all warranty benefits. 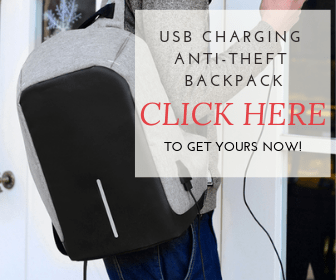 The warranty won’t cover a product that has been modified, abused in all manner, mishandled, or had unauthorized repairs. For more details and information on this model, check out Celestron’s website. The Celestron 51630 Finderscope StarPointer is an amazing piece of equipment for telescope owners and space lovers. It’s cheap, but it works as a charm when it comes to aligning your scope. With this small piece, you should be able to see all the celestial bodies you want to see in no time. If you have any thoughts or questions, or if you’ve ever tried the Celestron 51630 Finderscope StarPointer and you want to tell us about your experience, leave us a comment down below.